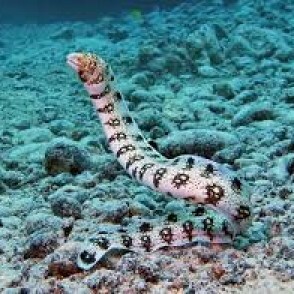 The Snowflake Eel, also known as the Snowflake Moray Eel, Clouded Moray, or Starry Moray, is one of the most beautiful morays, and inhabits caves and crevices throughout the Indo-Pacific reefs. In the wild, it can grow to 39 inches; most captive specimens will not exceed 24 inches. 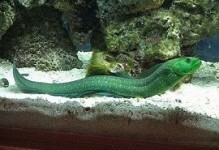 This is a very hardy eel, but an escape artist. A 50 gallon or larger aquarium with plenty of live rock and a tightly fit canopy is ideal. 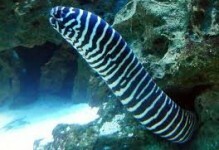 Most of the eels that are lost in an aquarium are due to poorly sealed tanks. 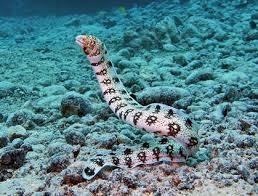 The Snowflake Eel is safe to house with any fish it cannot easily swallow. It can be housed with some invertebrates, like anemones and corals, but not crustaceans.